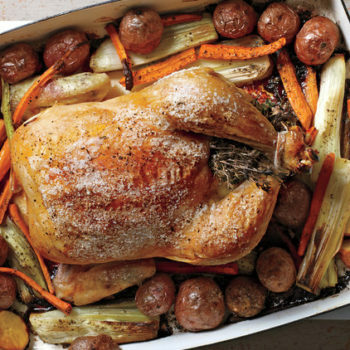 Learn to make a simple and healthy roasted chicken and veggie dinner. Enjoy samples, learn how to cut a whole chicken, take home recipes, and gain knowledge on ways to eat a little healthier this year. Tony is the Member Experience Manager at Anytime Fitness in Menomonie and is passionate about healthy eating, simple recipes, and wellness!